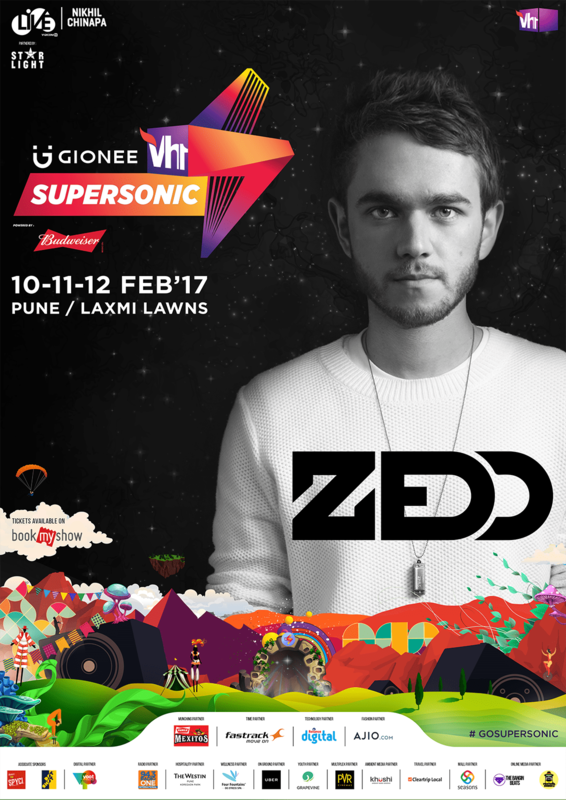 Here’s Why You Should Be In Pune This Weekend! Will we be seeing you at this all-encompassing festival? 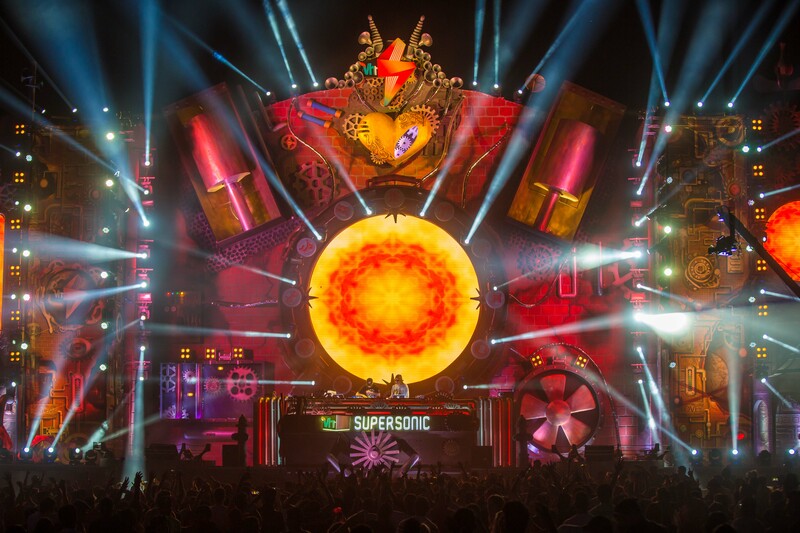 In the recent past, international acts have been killing it on our home turf, proving that India is most definitely on the music map. 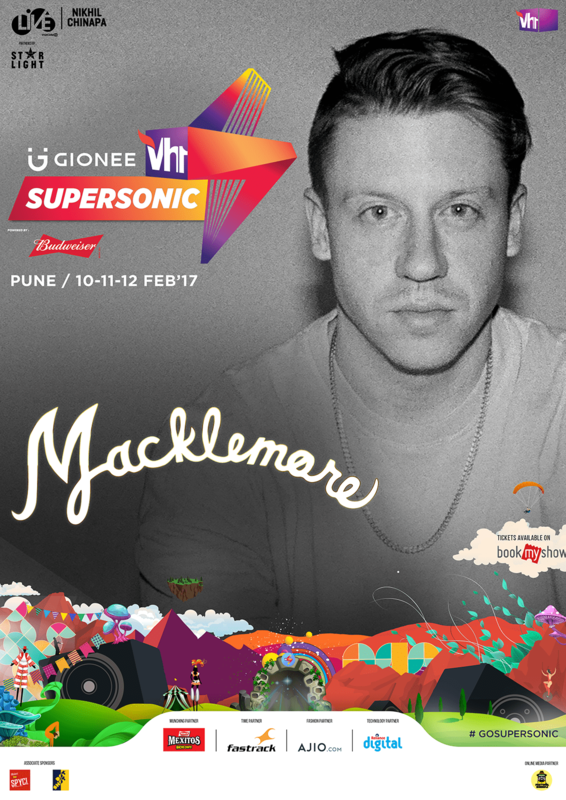 Still, Gionee Vh1 Supersonic Powered by Budweiser is making sure that no one forgets it. 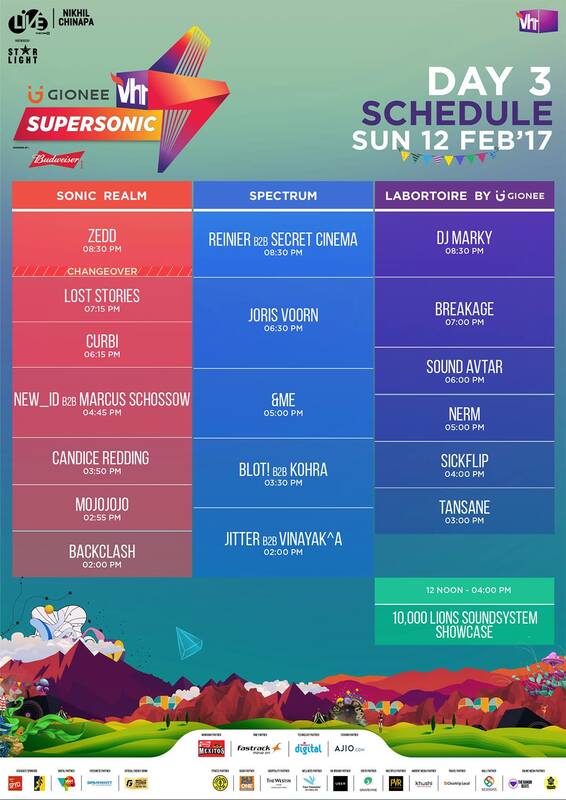 The festival that has been responsible for bringing down landmark artists like Skrillex, Major Lazer and The Chainsmokers is now setting the right tone for 2017 with an unbelievably rich and all-encompassing lineup that has had jaws dropping right from the first announcement. 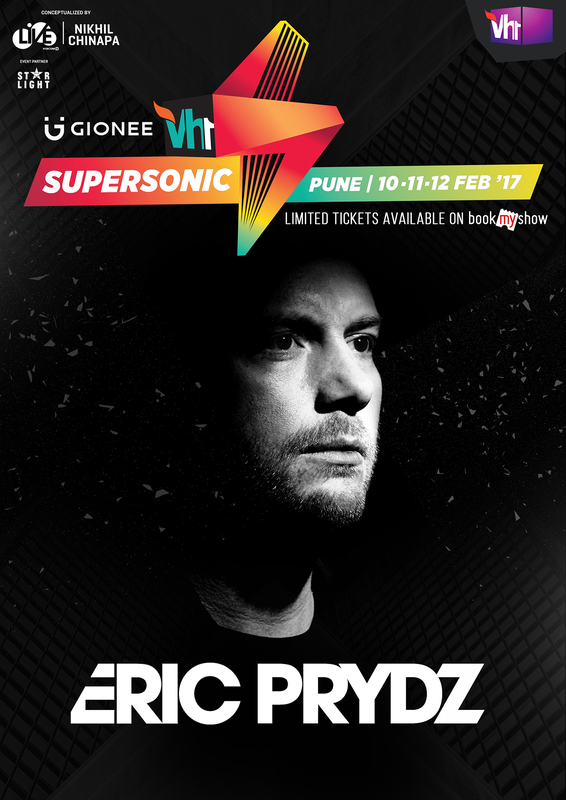 Organised for the first time in what has now become the country’s party city, Pune, the three-day event will be kicked off by none other than Eric Prydz. An extremely special achievement, given that fans had lost hope for such an appearance on account of the artist’s well-known aversion for flying, this will mark not only his India debut but also his first ever Asia performance. Which means that Pune will see people flocking from all over the country, as well as from Abu Dhabi, Bahrain, Sri Lanka, Malaysia, Muscat, Singapore and the Maldives! With two major music icons in the bag, you’d think the folks at Vh1 would be done, but they had to finish off with just one more to close the final day — another Grammy Award-winner and hit maker — Zedd. Over and above producing for and collaborating with artists like Ellie Goulding, Lady Gaga and the Black Eyed Peas, he has created his own chart-toppers, while his album True Colors recently won an award in the ‘Top Dance/ Electronic Album’ category at the Billboard Awards. 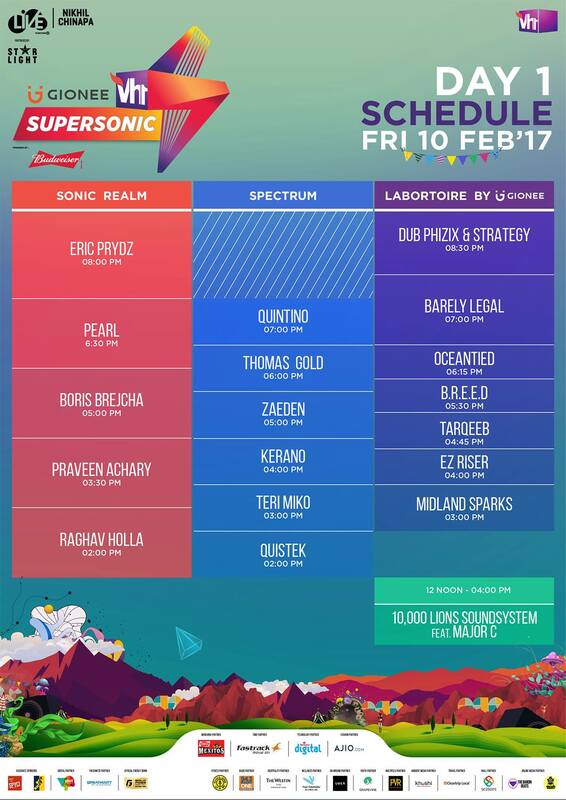 What’s more, if the three headliners aren’t enough for you, they’re going to be playing alongside a host of incredible homegrown and international artists on a variety of stages. You can check out the day-wise schedule below. And speaking of stages, the mockup preview of what is going to look like will pretty much leave you astounded. With all this on offer plus incredible food, happy hours, a unique shopping experience and great vibes, you can see why we’re already packing our weekend bags. 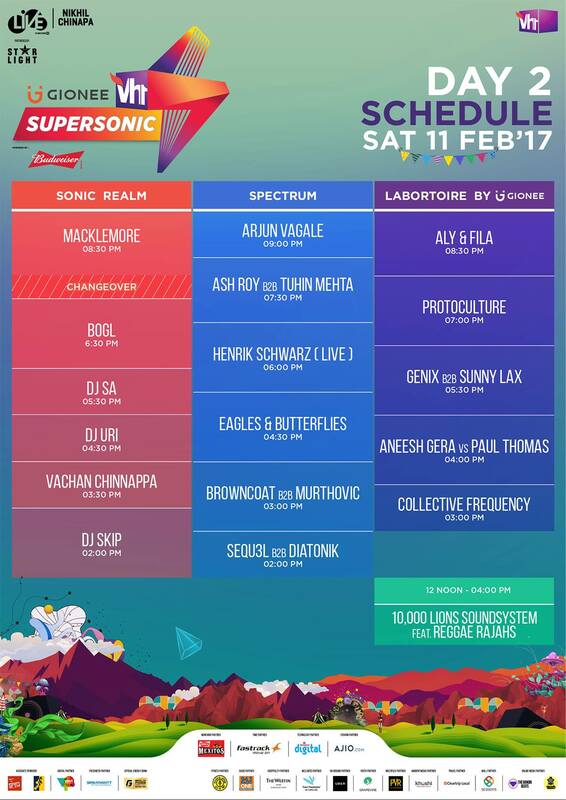 Come join us at Vh1 Supersonic 2017 from February 10 to February 12 at Laxmi Lawns in Pune!